Discover some of our works! Each day we imagine tomorrow's solutions. your partner for future projects! GAS Architettura is an italian architect firm, specialized in tourism developments and infrastructures, hotel design, master planning, sustainable architecture and design. Our projects mainly concerned Hotel and Wellness, Museums, Offices and Industrial Buildings, Residences, Restaurants, Shop and Stands, Master Planning. 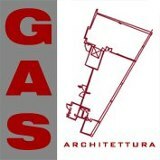 With the new release of www.gasarchitettura.com now you can finally find the big part of our projects, some of our concepts and some other informations about our team. You can discover our style, our modus operandi, and our references. So you can evaluate if GAS architettura is the right partner for you.